Originally hailing from the Russell area of West Louisville, EZ is the fourth child of local WAMZ Radio personality Ralph Dix. He spent most of his youth as stand out football player, which led to scholarship and college radio. EZ gained his first radio experiences in college radio at North West Oklahoma State University. Starting as an intern for our sister station, B96.5, in the summer of 2004 to begin his journey on to Louisville airwaves. EZ worked his way up from being a part-time remote tech and a board operator to host a weekend show on B96.5. In 2014, The Leo Magazine voted EZ as the #2 radio personality in the city, in their annual Best of Louisville edition. This achievement ranks as EZ’s most proud radio accomplishment due to the fact it was only a four hour show that aired once a week. 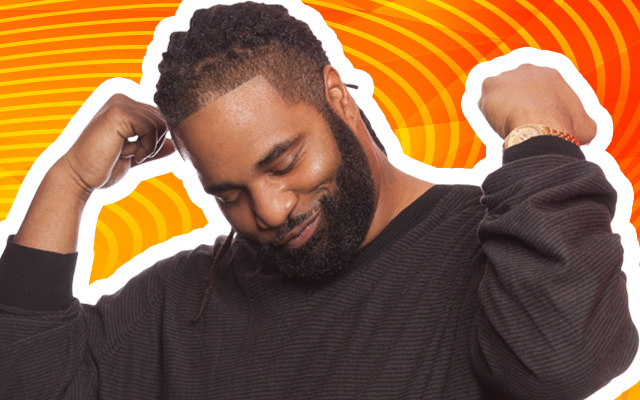 In April 2015 EZ in the Morning was launched on Old School 105.1, the Ville’s new throwback hip hop station. EZ says, “It took eleven years to get to your ear drums, hopefully it take double the amount of time to get out”. Wake up with EZ every morning 6a-12n on Old School 105.1 for a good laugh and what’s going on in our community live and local. We welcome EZ, officially Louisville’s flyjock, to the afternoon drive of Magic 101.3! Missy Elliot Announced That She Has Finished A New Album With A Happy Dance!!! Carl’s Jr. Will Be Selling A Weed Burger in Denver For 4/20!!! “Rocky Mountain Hight” CBD-Infused Burger!